Home » News » How to Store High Temperature Wire And Cable? How to Store High Temperature Wire And Cable? 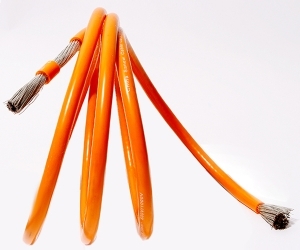 High temperature wire and cable not only needs to pay attention to many places when it is used but also its storage mode and environment are very important. If it is stored improperly, it will seriously affect the quality of the high-temperature wire. Below China Sanew cable, as a professional China silicone wire manufacturer, reminds you to pay attention to the following points. 1. Contact with acids, alkalis and mineral oils should be strictly prohibited, and these corrosive substances should be stored in isolation. 2. No harmful gases that damage insulation and corrode metals shall exist in the warehouse where high-temperature wires are stored. 3. Avoid storing high temperature wire and cable in the open air as far as possible. 4. The high temperature line shall roll regularly during storage (once every three months in summer, and may be postponed in other seasons as appropriate). When rolling, roll down the edge of the storage plate and up to avoid dampness and decay on the bottom. When storing, always pay attention to whether the head is intact or not. 5. The storage period of high-temperature wire is limited to the time of product leaving the factory. Generally, it should not exceed one and a half years, and the longest is not more than two years. Specific instructions for the use of the product should be taken into account. The above five points should be strictly observed in the storage of high-temperature wires. Nothing can be ignored in order to avoid causing losses and affecting the safety of use.